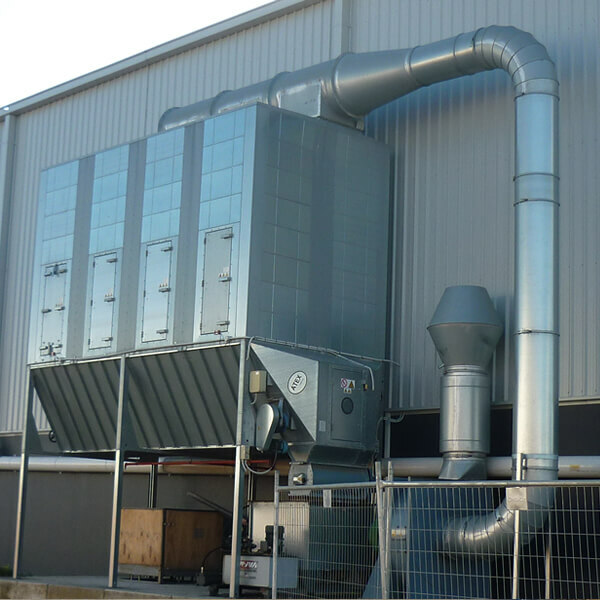 Ideally suited to medium sized air flows, the NFS3000 Reverse Air Filter features large material concentration and can handle air volumes from 8,000-60,000m3/h. The NFS3000 Reverse Air Filter has been installed more than any other brand thanks to its reliable performance and cost effectiveness. 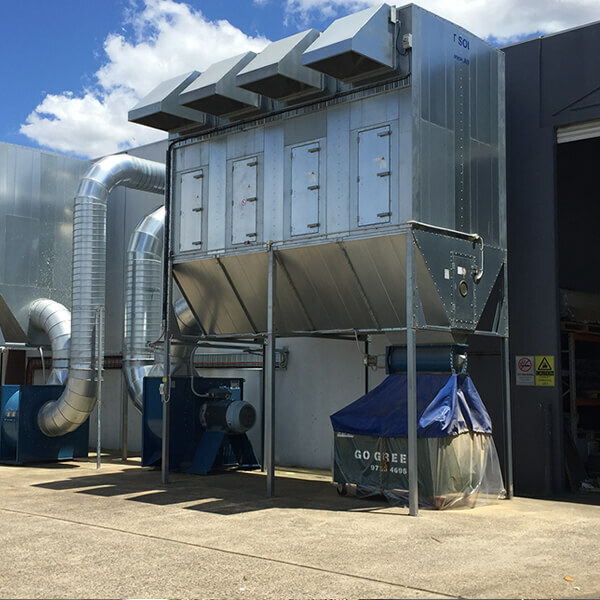 Airtight’s NF series is now widely known as the go-to solution for many of Australia’s largest manufacturers, with its performance being unparalleled. The modular design of this series means it can be extended to suit your constantly evolving needs, meaning your investment is truly future-proof! 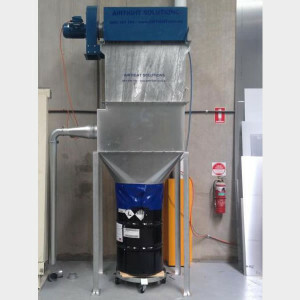 For highly-effective, high dust volume cleaning, look no further than the NFS filter series. 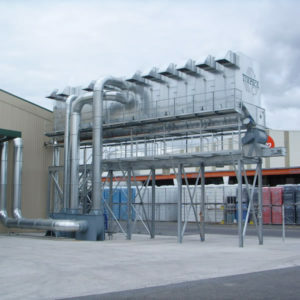 Designed to operate continuously and clean while in operation, which allows them to function even more efficiently. The NFS4HJ is best suited to medium dust load applications, servicing up to 48,000m3/hour. This is roughly the same performance as 12-20 machines for the average joinery/cabinetmaking application. The NFS4HJ is designed with safety at the forefront, with each module comprising of a safety switch and combined inspection and explosion relief door. 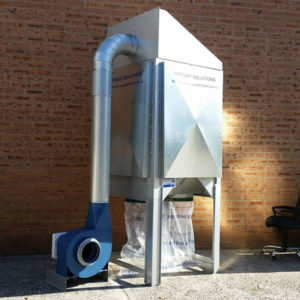 The system works by separating medium and large particles in the filter hopper (with an optional inlet section), and the air being distributed to the filter bags. This material is then discharged through the screw conveyor or rotary valves. 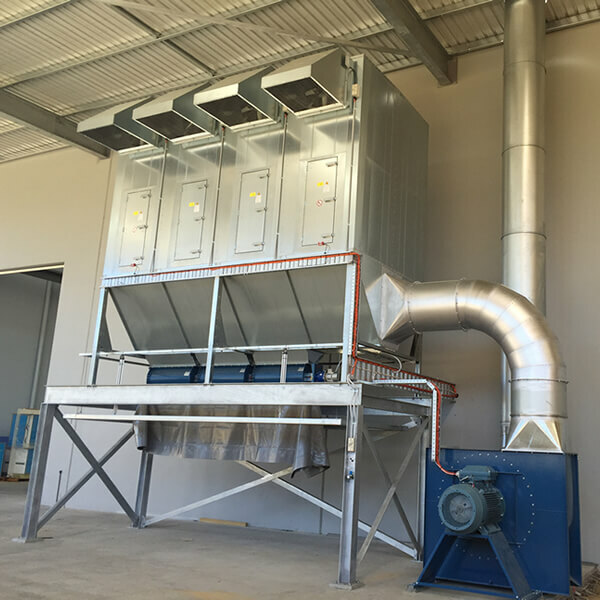 The rotary valve comes standard with the 4HJ, ensuring continuous operation without the need for shutting down the system just to empty the waste bin. 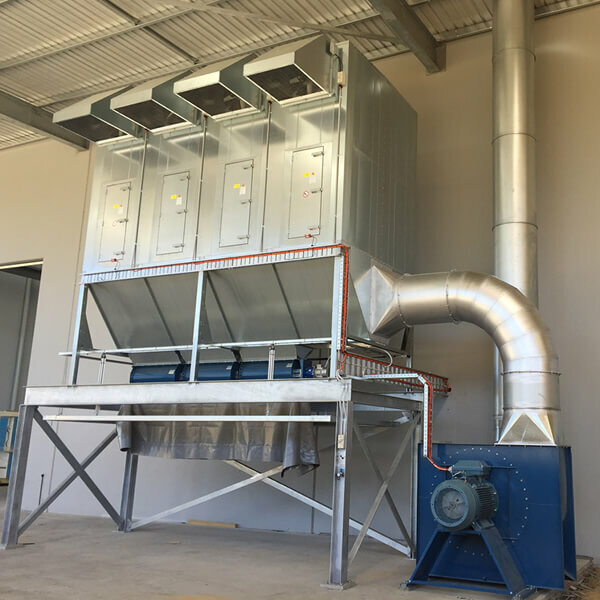 Additionally, the NFS4HJ also has a Variable Speed Drive that keeps the running costs low, an online PLC controlled reverse air cleaning system and 340m2 of XT15 antistatic filter socks. The NFS2HJ’s main fan is highly-efficient, self-cleaning and high performance, providing quiet operation and ensuring low running costs. Airtight Solutions use heavy duty 4 pole fans (5mm) instead of the cheaper alternative of 2 pole fans. 2 pole fans are smaller in size and run faster, typically at 3,000 rpm, which produces plenty of noise! 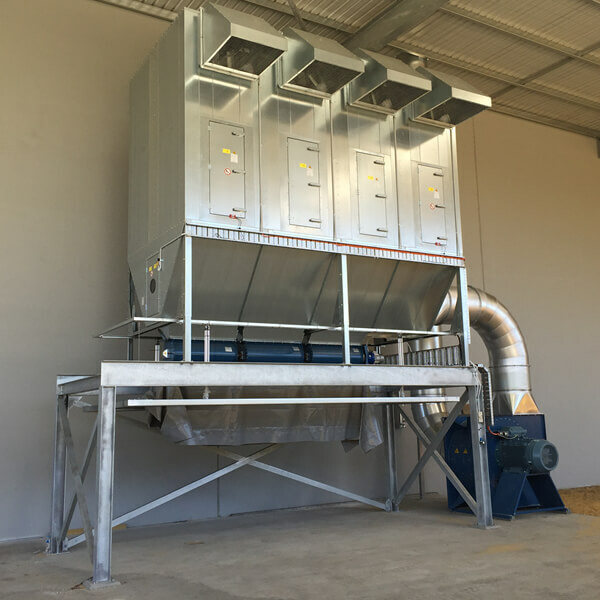 The modular design of the 4HJ ensures that it can be easily extended as your business grows and your extraction requirements increase. 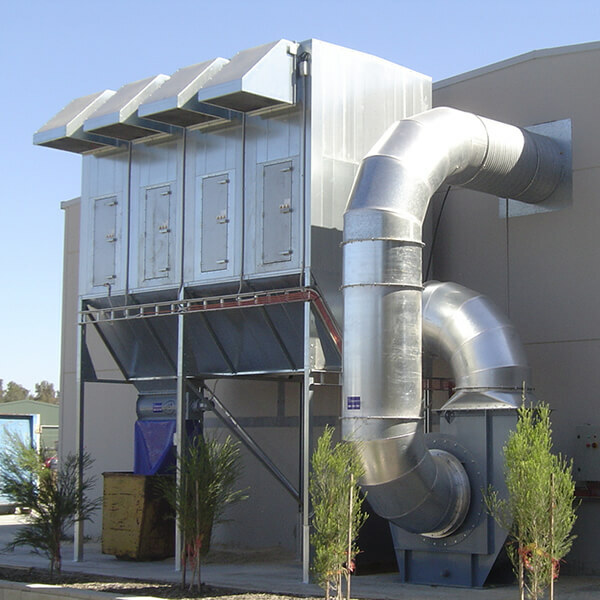 In the case of heavy waste load applications, the waste will typically be discharged into a silo, container or other material transport system.